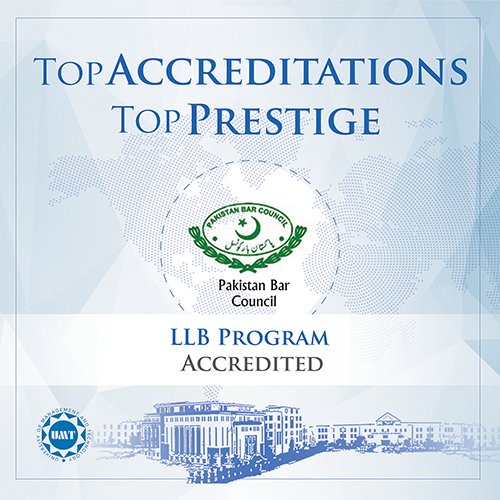 Institutional and specialized accreditations demonstrate the extent to which academic programs meet the rigorous quality criteria and commitment to continuous improvement which is essential for success in specific professional domains. 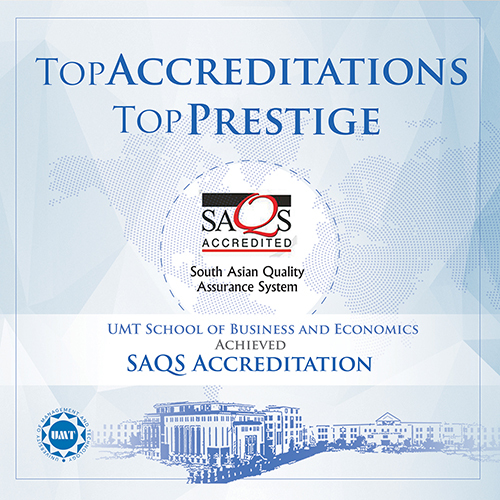 Our top accreditations help us to benchmark our programs against best practice, and ensure that our students have the credentials which give them a competitive edge that enhances their employability, and helps them to excel in their careers. 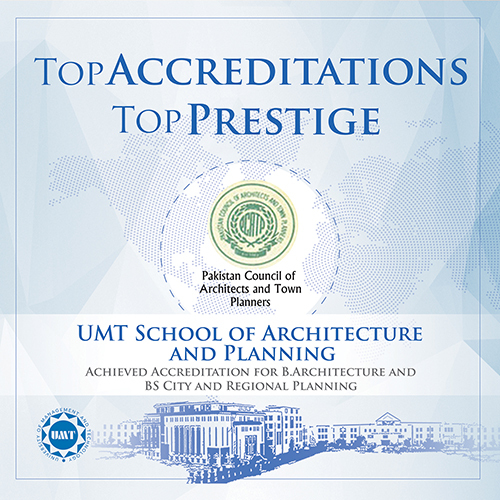 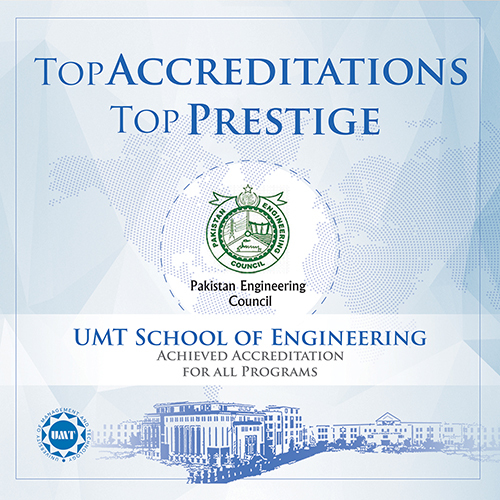 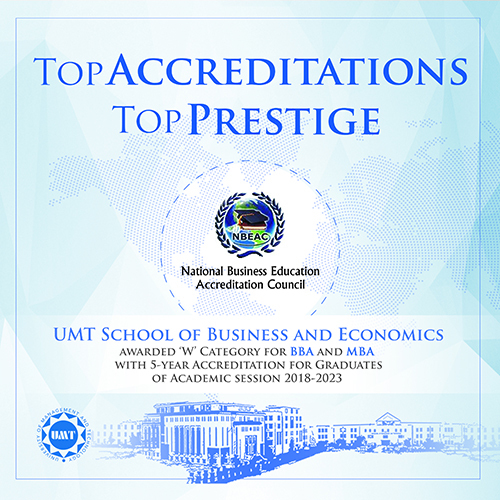 UMT is growing by leaps and bounds through the efforts of dedicated faculty and meritorious students who are bringing good name for UMT through their academic and professional achievements. Our academic programs are accredited by the prestigious national and international accreditation agencies.